R&B Climate Control has the answer! Are you using an old, outdated thermostat in your home? If so, chances are you’re not getting the most out of your HVAC system. Here are R&B Climate Control Systems’ top 3 reasons you should upgrade to a programmable thermostat in Fort Mill, SC. That’s right, a new thermostat will actually save you money in the long run in energy costs. This is because programmable thermostats help the HVAC system to operate at maximum efficiency. If your home has more than one air conditioning system, you can set them at different temperatures. For instance, you can set the thermostat on the A/C in the downstairs to a higher temperature since hot air rises, while letting cool air blast to the bedrooms upstairs. You can also, set the temperature back a couple of degrees during the day while you are away at work, and program the thermostat to a cooler set point just before you get home. This allows you to cut back on cooling costs in the spring and summer. Adding a programmable thermostat also means better comfort for the whole family. 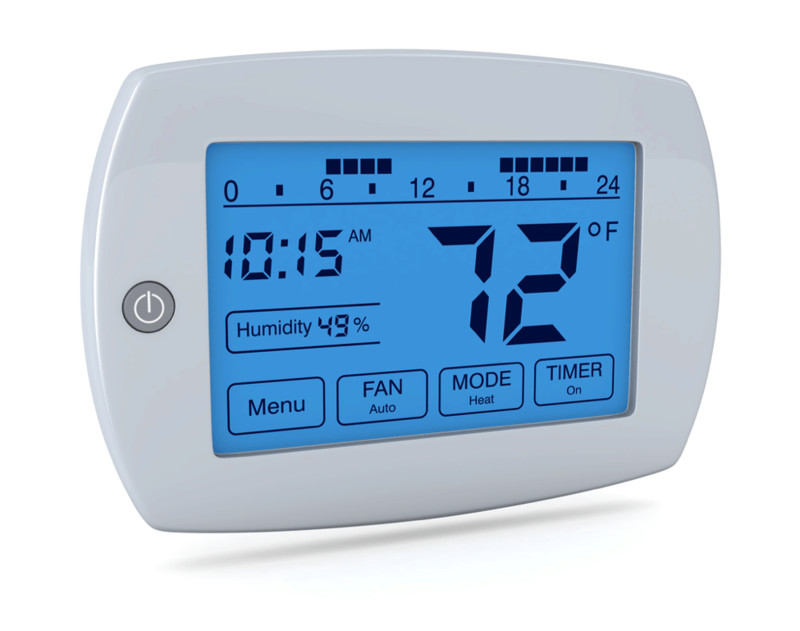 A programmable thermostat will allow for different temperatures and humidity levels in different areas of the home. So, the master bedroom could be set to 70° while the kids’ rooms are set to 73°, depending on your family’s preferences. Also, you can program your thermostat to run higher during the day, then cool down before the family comes home from work and school. With a programmable thermostat, your home will stay cool and comfortable all day long. At R&B Climate Control Systems, we know that quality air conditioning should be comfortable, reliable and convenient. That’s why we’re excited to offer smart thermostat models that make using the HVAC system as simple and pain-free as possible. Smart thermostats connect with wifi so you can control your A/C unit with your smartphone or tablet. So when you realize you left the A/C on full blast when you’re halfway to the beach this spring, fear not! Just open your thermostat app and turn up the air, and set it to cool again on your return date. Smart and programmable thermostats are truly the ultimate in HVAC convenience. Call R&B Climate Control Systems to ask about your new programmable thermostat today!